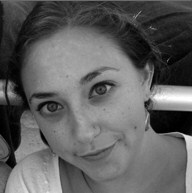 Rachel Malis will be graduating with her Master of Fine Arts in poetry from ASU this spring. She won an Academy of American Poets Prize in 2007 and was a runner up in last year's Slapering Hol chapbook contest via the Hudson Valley Writers' Center. Rachel has been published in Oberon Poetry, Modoc Forum, Willows Wept Review and Damselfly Press. While completing her masters degree, Rachel received awards and a grant to travel to Ukraine, the Czech Republic, and Australia. She has poetry forthcoming in the New Mexico Poetry Review. as I already have. She will never lie to herself. a tiny elfin girl. She will never have a checkbook. Nastia will live in a man's house. better than I, but she'll forget it faster, too. because it will get in her way. but she isn't going to write to me. that will last her through the winter.